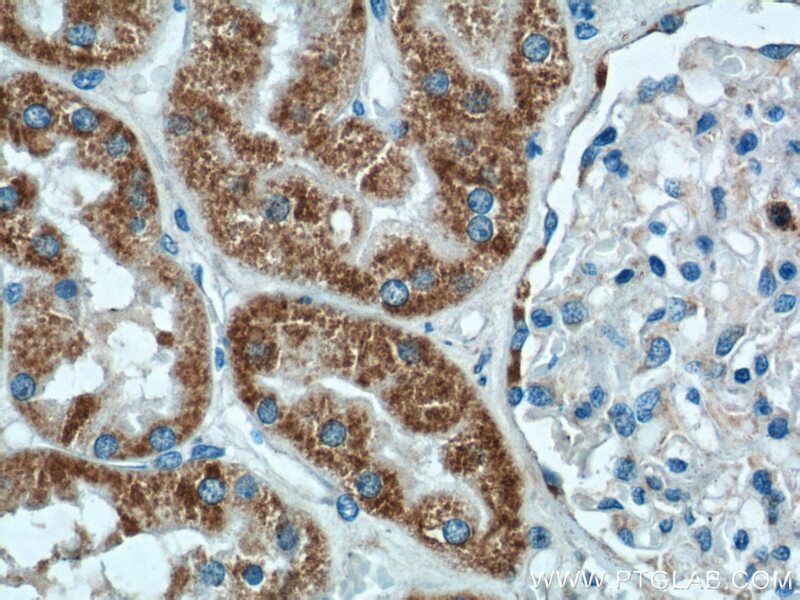 Immunohistochemical analysis of paraffin-embedded human kidney tissue slide using 17984-1-AP( AIF Antibody) at dilution of 1:200 (under 40x lens). 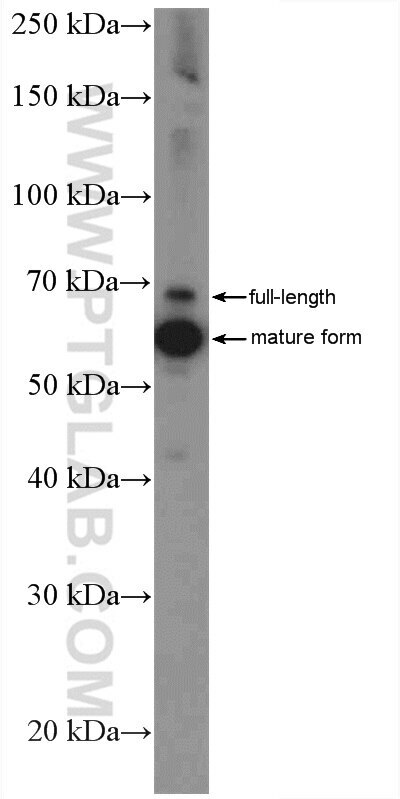 IP Result of anti-AIF (IP:17984-1-AP, 3ug; Detection:17984-1-AP 1:2000) with HeLa cells lysate 1320ug. 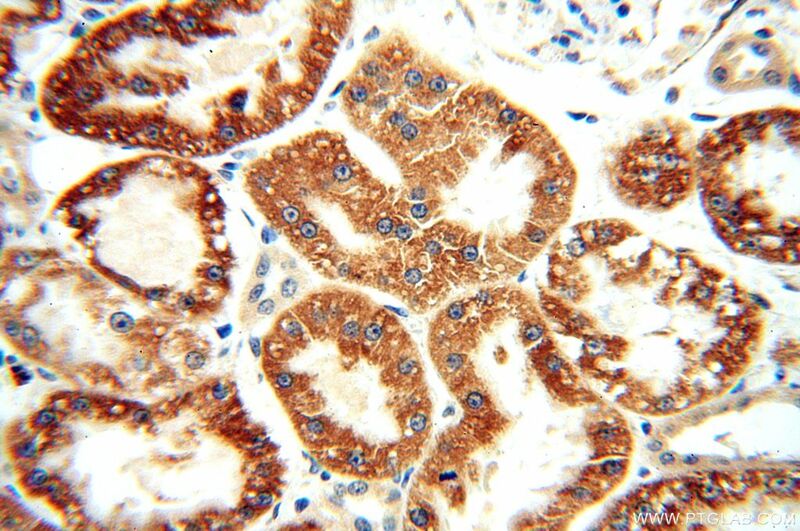 Immunohistochemical analysis of paraffin-embedded human kidney tissue slide using 17984-1-AP( AIF Antibody) at dilution of 1:200 (under 10x lens). 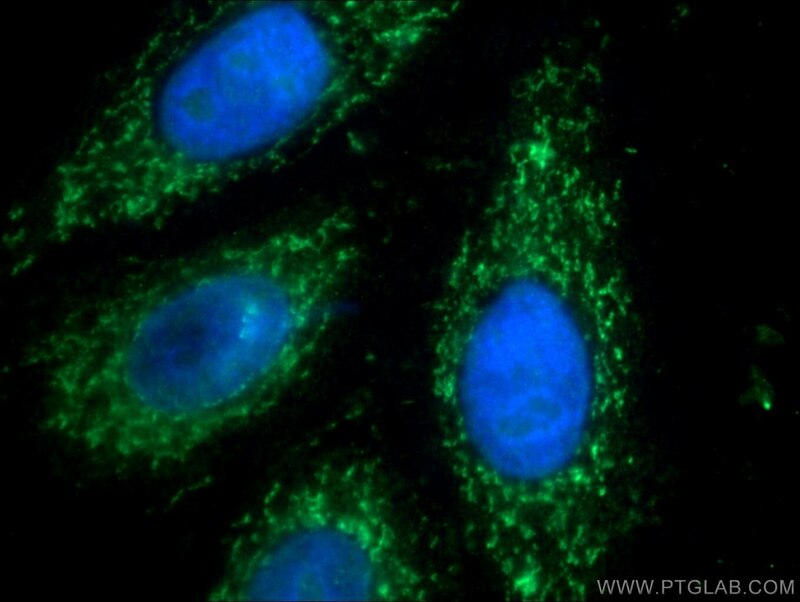 Apoptosis-inducing factor (AIF) is one of the mitochondrial proteins to be released into the cytosol during apoptosis, and it is discovered as the first protein that regulates caspase-independent apoptosis(PMID:20494118). 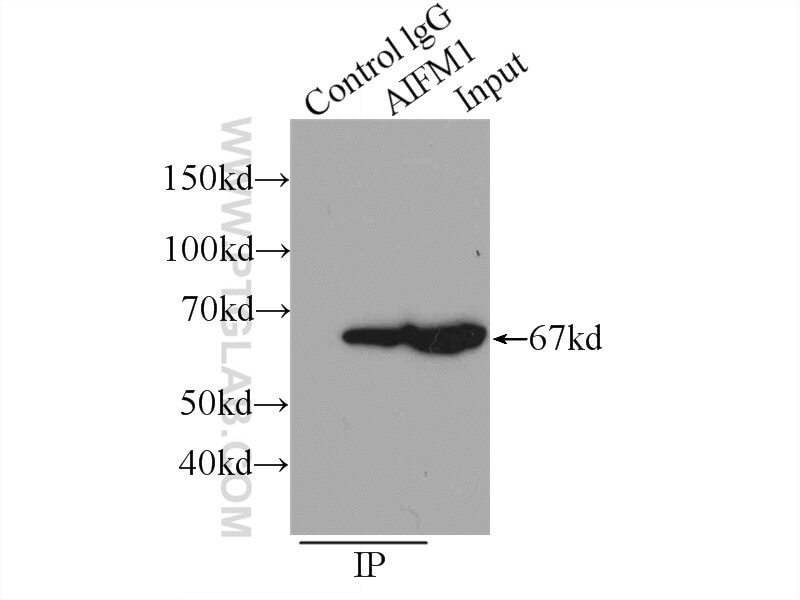 AIF is encoded as a 67 kDa protein that contains a mitochondrial localization signal (MLS) in the N-terminus.It is cleaved from the 62 kDa to the 57 kDa form following ischemic injury and translocated from the mitochondria to the nucleus in a calpain-dependent manner(PMID:19332058). Proteomic analysis of mitochondria from infantile hemangioma endothelial cells treated with sodium morrhuate and its liposomal formulation. 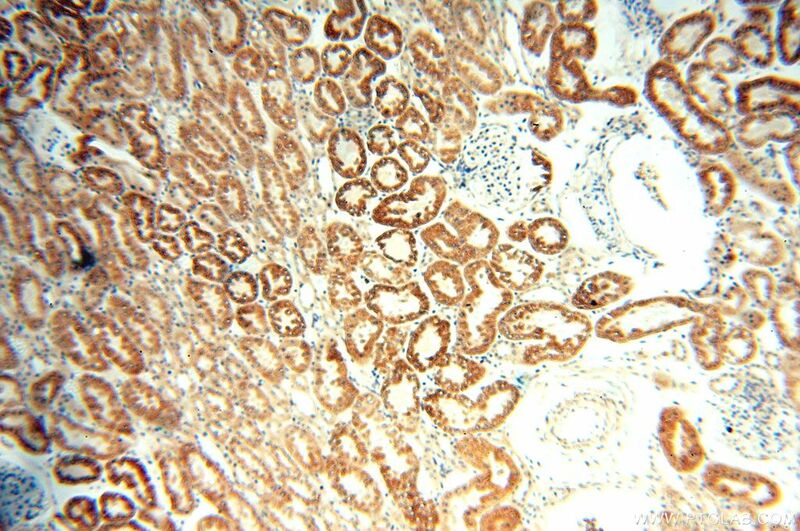 Induction of apoptosis in infantile hemangioma endothelial cells by propranolol. 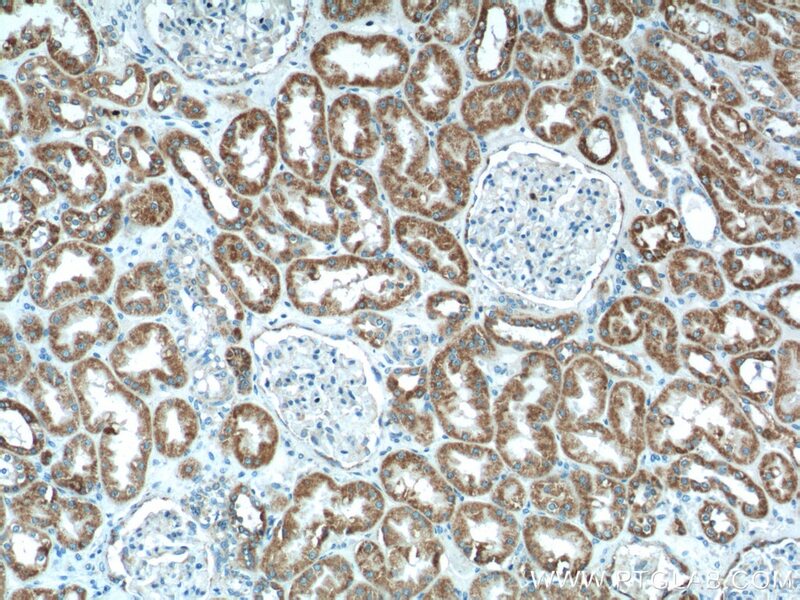 Wogonin Has Multiple Anti-Cancer Effects by Regulating c-Myc/SKP2/Fbw7α and HDAC1/HDAC2 Pathways and Inducing Apoptosis in Human Lung Adenocarcinoma Cell Line A549. Nitro-oleic acid attenuates OGD/R-triggered apoptosis in renal tubular cells via inhibition of Bax mitochondrial translocation in a PPAR-γ-dependent manner. O-Alkylated derivatives of quercetin induce apoptosis of MCF-7 cells via a caspase-independent mitochondrial pathway.